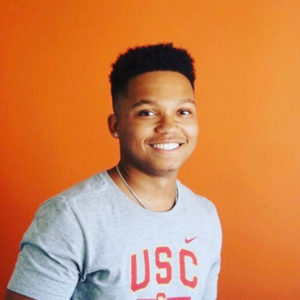 Isiah is a 19 year old sophomore at the University of Southern California (USC) in Los Angeles, CA. He is majoring in Business and minoring in Spanish and plans on pursuing a career in Sports Management. Like most young men, Isiah enjoys sports (especially lacrosse, football and basketball). In the Spring of 2014, as Isiah was finishing up his freshman year of high school, he began to notice he was frequently fatigued and/or sick. In June 2014, he experienced a low grade fever and blurred vision that spanned more than two weeks. Isiah was taken to multiple doctors and was finally diagnosed with Acute Lymphoblastic Leukemia (ALL). He began treatment immediately. After an initial 32 day stay in the hospital, Isiah went into remission, and he continues to be in remission. This initial stay in the hospital was followed by an additional 3.5 years of treatment (from July 2014 – October 2017), which included phases that required short hospital stays as well as regular clinic visits. At times, Isiah was not able to attend school because of his compromised immune system. Although Isiah’s treatment concluded in October 2017, he still must be seen by doctors every 3-4 months to ensure there are no signs of recurrence. Currently Isiah is doing very well; he even had the opportunity to play on USC’s lacrosse team his freshman year. Overall, he feels blessed to be where he is now and very happy with his college experience and the new friends and experiences this opportunity has afforded him. Although Isiah has completed his treatment, he will continue to face medical challenges due to his cancer diagnosis and treatment. He knows he must be diligent in taking care of himself physically and emotionally and following his doctors’ advice. Isiah maintains a positive outlook about his future and has demonstrated tremendous courage, strength and resilience throughout this period of his life.